Warm sun, green grass and blooming flowers. Spring is in the air. In this season, going on a family picnic could be so wonderful and lots of fun. Let’s start with planning. Having everyone make food together makes picnic preparation much easier. A simple meal like sandwiches and salad can be done in ten minutes. If your little helpers have interests in cooking, that’s great! It could be the first step in teaching kids to pack their own school lunches. And if your kids are too little to pack by themselves, try to give them easy task such as putting food into the basket or choosing their favorite fruits. They can learn how to make their own choices and help others. Don’t forget to prepare some toys! It can always be so enjoyable with them. 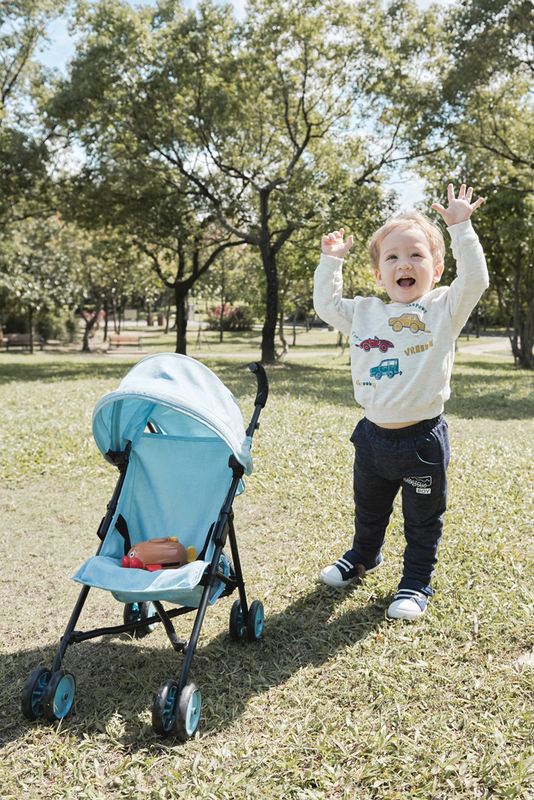 Let your little ones bring on a play food set and carry their own toys with wagon. 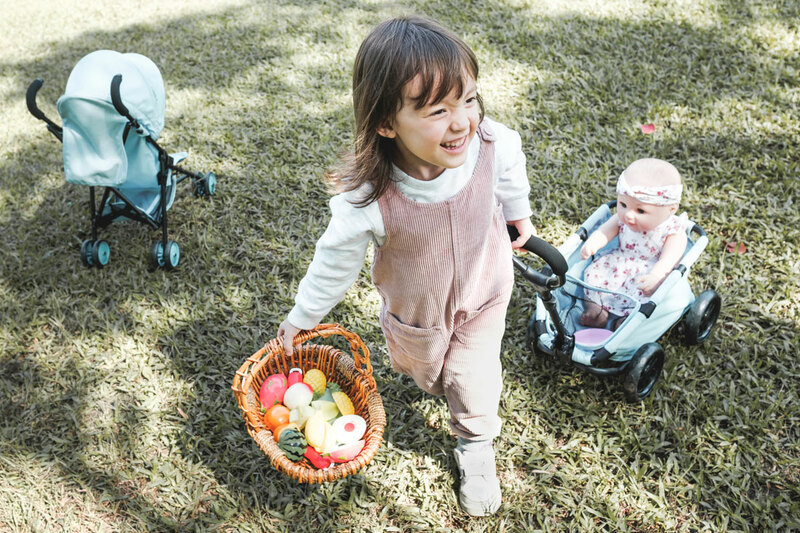 Put the dolls into doll stroller and grab your picnic basket. Ready to go! Pretend game can really bring the picnic to another fun level. Let kids host the picnic party and show you their power of imagination. They can be a good cook serving you and their dolls a big meal. They can be a big sister/brother feeding their dolls properly. They can be whomever they want to be. The magical world shown from their point of view may surprise you! Together you can embrace the miracle of nature. Just lying on the picnic blanket and watching the cloud passing by with your love ones. 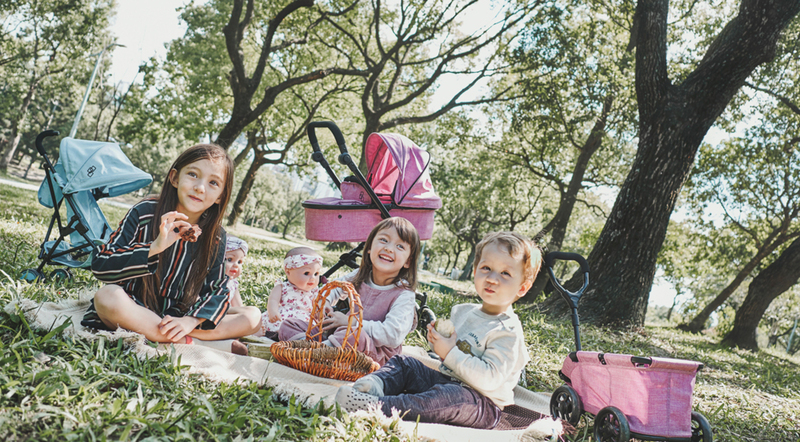 Spending the meaningful time together, this spring picnic will be an unforgettable memory for you and your kids. Now let’s get everyone out of house and soak up some sun!